We don't want to be all Game of Thrones about it but... winter is coming. Fingers are often first to feel the cold, and if you've stayed old-school in your choice of hand apparel, your gloves might prevent you from being able to interact with that capacitive touch-screen of your iPhone 6S or Galaxy S6. Instead of removing your glove to tweet about being cold, use touch-screen-friendly gloves, made with conductive fibers that transmit the electric signal from your fingertips to your smartphone. Depending how much you value style, warmth and touch-screen sensitivity, there are a number options to consider. Knit styles generally offer a closer fit but chunkier look, though looser weaves can let in wind and cold. Leather is durable and warm (hence the slimmer styles of leather gloves),but may not stretch to fit your particular hand size. Fleece and down are good options when the mercury really dips, while synthetic outer materials can keep dampness at bay. If you're into winter sports or cycling, gloves lined with synthetic shells are best for wind and wet weather resistance. As for the touch-screen interactivity, look for gloves that offer more than just conductive pads on the fingertips, as you may find it difficult to get the exact spot right when typing. Slimmer gloves are also easier to maneuver for tweeting or Instagramming. 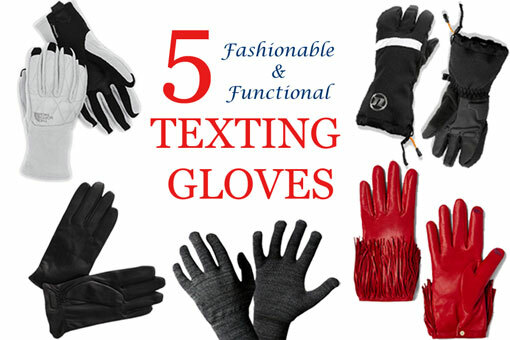 Below are five fashionable and functional texting gloves. Let us know if you've got a recommendation in the comments! 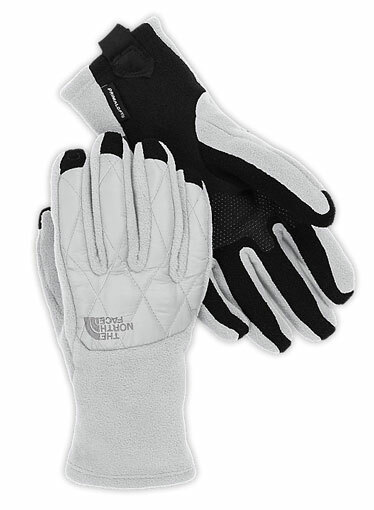 These all-rounder gloves are fleece-lined for warmth and have an outer synthetic-knit layer for a snug fit. Honeycombed dots on the inside palm offer an anti-slip grip for that slippery iPhone, and the entire glove is run through with conductive thread for touch-screen-friendliness. 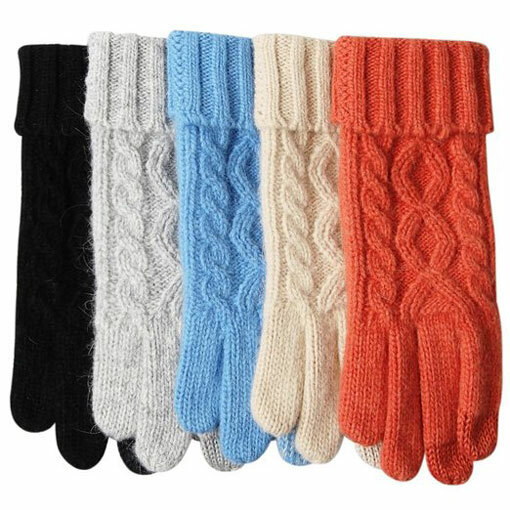 Bonus: the close-fit knit design allows a more streamlined hand for typing dexterity so good, the gloves have been top-rated by consumers and reviewers alike. Unisex sizes run from small to extra-large. Purchasing directly from Glider Gloves ($29.99) gives you color choices of grey, violet, pink and teal in additional to the more traditional black. The Unisex gloves cost $29.00 on Amazon. Wool gloves are the old-school choice for snuggly comfort – and these come with a synthetic lining for additional warmth. 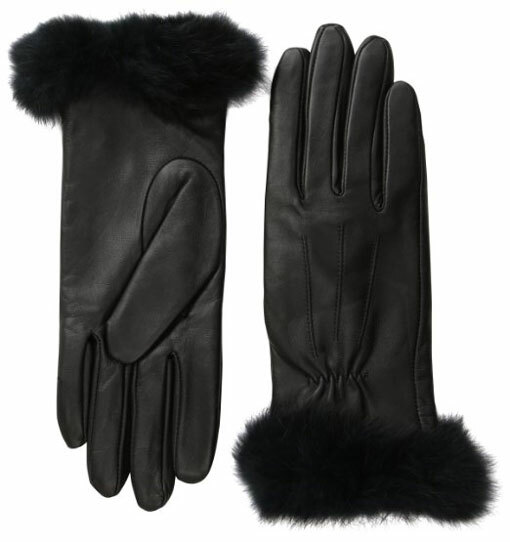 Made of wool, nylon and rabbit fur, the gloves stretch to accommodate a range of hands, luckily, as they only come in one size. Another benefit of wool gloves is that styles often come in a rainbow of color choices. Here you can pick from beige, black, grey, baby blue, orange and white. The men’s versions are polyester-lined and come in color choices including beige, black, dark grey and light grey. 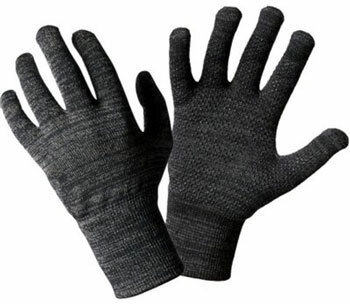 Women’s ELMA Touchscreen wool gloves cost $16.99 on Amazon and Men’s cost $17.99 on Amazon. If you're after something more sophisticated than fleece and wool combos, these cashmere-lined leather gloves from Glove.ly fit the bill. They are made with treated sheepskin leather that allow touch-screen interaction. If youfind yourself constantly losing a single glove, you may find magnets beneath the logo helpful in keeping this pair together. Women’s Glove.ly gloves cost $95 on Amazon and the Men’s version starts at $89 on Amazon. Want to splurge? These fringed leather driving gloves from DVF(Diane von Furstenberg), $228 on dvf.com, are admittedly better for style and warmth over texting function, though two cute embroidered lip shapes on the index finger and thumb will allow you to swipe and prod out messages. Whether you're a city commuter or weekend off-road warrior, good gloves are a necessity for hands that must grip handlebars through wind,snow and rain. The Novara Stratos are wind-proof, water-resistant and breathable, with synthetic insulation and a fleece lining to wick away sweat from all that hand-warming. The ring and pinky fingers form a mini-mitten or “lobster claw” for additional warmth, while conductive fiber runs throughout the fingers for ease of texting. Like any good cycle accessory, a fat reflective strip sits on the back of each glove. If you’re making a long trek in very cold conditions, no matter the gloves you end up with, you may still want to consider a silk liner or disposable heat packets. REI currently has a 50-percent-off sale running for its men’s version of the gloves, while supplies last. 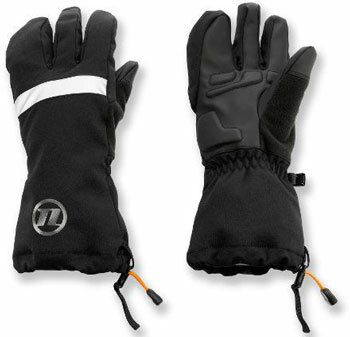 The Women’s and Men’s Novara Stratos Tech-Compatible Bike Gloves are available on REI.com for $54.50. The thicker the glove, the tougher it is to manage touch-screen dexterity. These fleece gloves are filled with synthetic down for warmth in a lightweight, not overly bulky design that enables flexible phone usage. Touch-screen-friendly conductive threads run through the fingers. A synthetic suede outer keeps your hands dry and warm in the wet and cold. It comes in women's sizes small to extra-large, with white, grey, and black options, as well as pink if purchased direct from The North Face. Men’s color choices include black, charcoal grey heather and Monterey blue and sizes range from small to extra-large. Women’s styles are available from $39 on Amazon and Men’s styles from $50 on thenorthface.com. Big Fingers, Small Keyboards & Gloves ? Big Fingers, Small Keyboards & Gloves ? Are you crazy ? It is already extremely hard to type anything in those ridiculously small smartphones keyboards and now you are suggesting people to use gloves ? Good Luck With That ! Why don’t you better suggest people to use a decent stylus like this one http://www.amazon.com/gp/product/B00LTA9PI8 ? And there many others from many other brands, styles and colors. Ever since I use one, I don’t even bother to use my ugly finger to even attempt to activate an app much less type anything in there. And I can use gloves with my stylus without problems.